NASHVILLE -- Nissan Motor Co. is tweaking its "Innovation for All" advertising tag line as it launches national marketing today for the 2013 Altima. The new tag line -- "Innovation that Excites" -- is more than wordplay. Nissan North America is bowing to a change made this year by the automaker's European subsidiary. Nissan has been pounding the "Innovation for All" message in marketing for nearly two years, trying to boost brand awareness. But the company is changing the wording to keep its global ad campaigns all on the same page, says Vinay Shahani, director for Nissan marketing communications and media. "We want to be more consistent in our global communications, with an eye toward using similar brand campaigns in various markets in the future," Shahani says. He declined to say which vehicles might share world ad campaigns. Nissan Europe began using the "Innovation that Excites" tag line when it launched the sporty Juke crossover in April in the United Kingdom. A raucous TV commercial showed the Juke being assembled in midair by skydivers, underwater and in motion as it races toward a dirt-bike ramp. The subtle wording change will reach America amid a critical U.S. model launch. Nissan wants the Altima to remain the No. 2 best-selling mid-sized sedan in the United States when the redesigned model begins hitting the market in full force on June 26. 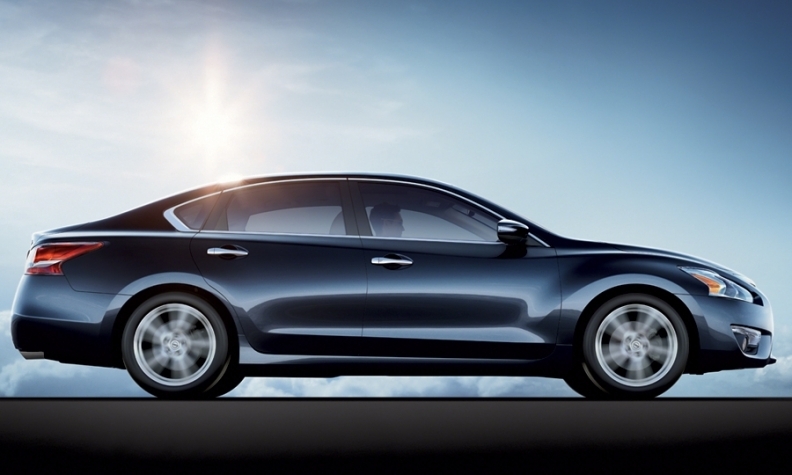 Nissan has begun shipping the new Altima to dealers around the country. Company sources say that regional sales managers have been given hefty third-quarter sales targets to keep the Altima moving through the launch. The plans will be challenging. Ford and Chevrolet also are launching redesigned mid-sized sedans this year. And a redesigned version of the Altima's chief U.S. rival -- the Honda Accord -- will reach dealerships this fall. Nissan is expanding U.S. factory production of the Altima in hopes of moving further ahead of the Accord, and even giving chase to the Toyota Camry. Through May, U.S. sales of the Camry have totaled 181,796, well ahead of the Altima, with sales of 135,289. Shahani declined to reveal the dollar amount that Nissan has earmarked to support the Altima launch. He noted that the car's technology-focused ad campaign will include the largest digital-media spend in the company's history. Digital media will receive 24 percent of the new Altima's ad dollars, compared with 12 percent of the funds that supported the 2007 Altima launch.